Hook, Line, Sinker! The dockside fish fry has a special place in our hearts. Crunchy, salty, and totally dip-able; fish & chips are made for summer. Our ideal combo is flaky, lake caught perch with thick-cut, double blanched fries and tangy tartar sauce. Here’s our favorites across Ontario. Be sure to stop in to one (or all!) on your next wander! This family owned and operated spot has been a Norfolk treasure for 70 years. Folks flock in droves for their famous Lake Erie Perch ry-ups and their signature ‘Celery Bread’. They’re the only #FeastOn Certified restaurant on this list and have been supporting Norfolk farmers & fishers for decades. Located in both Sudbury and Killarney, Herbert Fisheries has been serving up Ontario whitefish and lake trout caught in the clear waters of Georgian Bay since 1981. They’re pretty protective of their famous batter recipe, a secret locals say is the key to this family-run businesses success. This is the first of two ‘fish buses’ on our list. Sully’s serves up all sorts of delicious-ness, but it’s their extra crispy, skin-on fries and herb dotted tartar sauce that have us hooked. The three piece cone at Birdie’s Fish Bustaurant. Photo Credit: The Windsor Star. 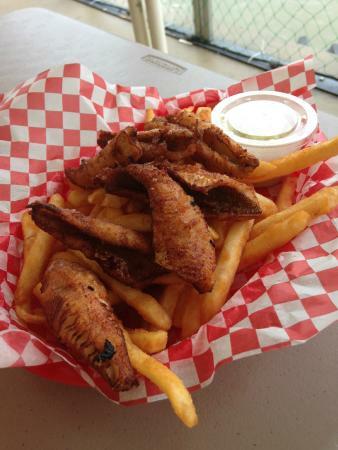 Made fresh to order, the folks at Birdie’s Perch use Fresh Yellow Perch for their ‘cones’. They also do tacos, burritos and ice cream; but let’s stay focused on what’s what here. They’re served with hand-cut Ontario russet fries, North Carolina Slaw and Birdie’s Signature Sauce. We’re also partial to adding a whole whack of Dan’s Hot Shake to our fries. Staff Tip: They’re cash only, so hit an ATM enroute. These guys have been catching fish on Lake Erie, and frying it for fresh-obsessed locals since 1974. We’re all about the 3 piece pickerel plate at this tiny, lakeside spot in Southern Ontario. For all you carbo-loaders, this plate’s also served with a roll! These guys have been been fishing and frying up their catch for hungry fish-lovers for decades. They’re super proud that Toby Keith once ate there, and presumably he loved Grandma Purdy’s secret batter recipe as much as we do. 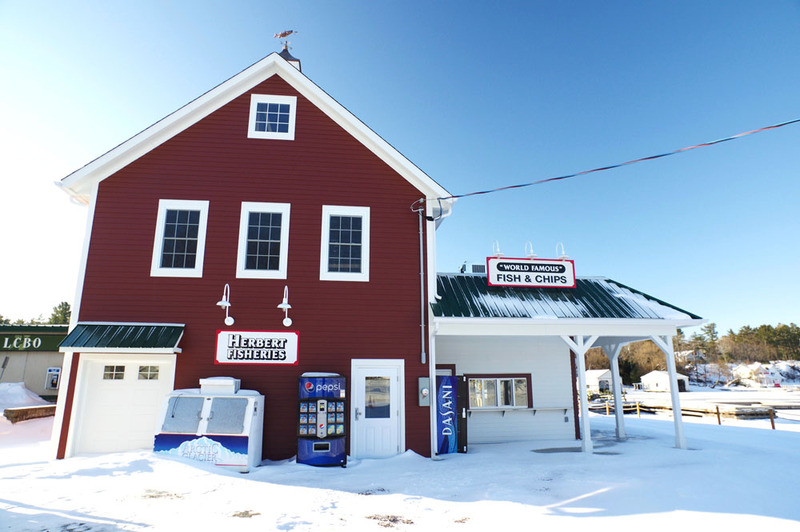 Purdy’s also hosts a small fish house, at 83 River Road, where you can see their Fishermen unload “the catch of the day”. We love the fried pickerel platters at this cottage country eatery, especially when you pair them with an order (or two!) of deep fried pickles. Do you sense a theme arising here? This spot lives up to it’s namesake. Where do you get your ultimate fish & chips plate? Let us know!